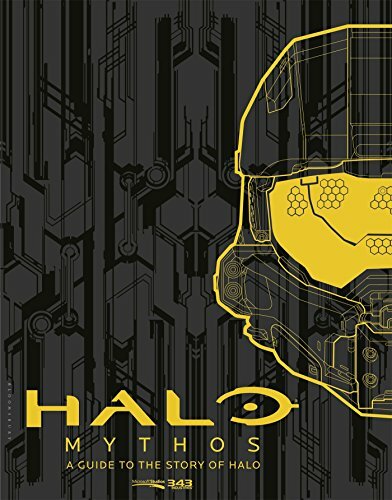 Halo Mythos is, of course, an essential book for all Halo fans. It's rather epic when you consider that this book covers 10 million years of Halo history. The history is presented in chronological order with the content being grouped into five sections based on the timeline, namely The Forerunner Legacy, Rise of Humanity, End of the War, The Aftermath and Return of the Pronetheans. It provides insight into the world that stretches back to Forerunners and is also sort of a good recap to the background on which the games are based on, from Halo: Combat Evolved to Halo 5: The Guardians. If you've skipped any of the games, then perhaps the book may fill in some blanks for you. It's a good read overall. It's written by 343 Industries so this is the official guide. The other highlight of the book are the awesome sci-fi art included. Many are double page spreads. The artists who have contributed are Darren Bacon, Jeremy Cook, David Heidhoff, Chase Toole, Jean Sebastian Rossbach, Leonid Kozienko, Isaac Hannaford, Benjamin Carre. The scenes of space colony, historic battles, iconic characters, spaceships and environments really make the world feel alive. The artworks of space and planets look breathtaking. It's a fantastic book for all Halo fans.